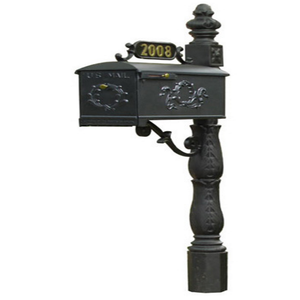 Durable Outdoor Used Antique Personal Mailbox from Supplier of Luoyang, China. 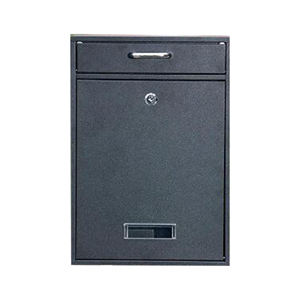 Name Durable Outdoor Used Antique Personal Mailbox from Supplier of China Item No JF-M3B11A Brand Name Jin Feng Size H1600 &times; W900 &times; D350mm ; Different size for choice Material Heavy gauge cold-rolled steel plate ; Thickness,0.5-1.0mm Surface treatment Epoxy powder coating and Rustproof, Degreasing, Phosphorized Packaging With polyfoam inner lining and multi-layer carton box. (wooden carton box available) Lock Pad Lock,Cam Lock,Code Lock MOQ 50 Pcs,the sample is available OEM;ODM Acceptable More information Port Qingdao or Shanghai Terms of Payment 30% by T/T in advance, the balance by T/T 7 days before the delivery. Should you have any questions please don't hesitate to contact Echo! is a factory and trading format of home decors, almost work for metal products. we always attend to Canton Fair show twice one year on Apr.and Oct. we always attend to Canton Fair show twice one year Good Quality + Wholesale Price + Quick Response + Reliable Service, is what we are trying best to offer you, my friend. We have strong R&D team to design and develop and customize for your requirements. Based on the customer&rsquo; s demands to choose the most economical shipping terms. 3.What is the transportation9 --Small Suggest to send by Courier, If large amount,by shipping. 7. Experienced workers pay full attention to details, make sure you would have perfect goods. Therefore, we need to charge you 3 times sample fee fist. We can't sell the same products to other customers any more. supplier us mailboxes American style antique mailbox Item No. 3.powder-coated finish is rust-resistant to withstand the elements. so you can test this model mailbox market by small quantity. Luoyang Metalbrother Furniture Co., Ltd.
2--More models about this kind of product: 3--Our Company's profile & Advantages: Our company ( Qingdao Milestone Trading Co. , Ltd ) is located in the beautiful coastal city Qingdao, having 4 our own factories and 19 cooperative factories. We have been adhering to the principle of "Quality is the life of our company" as always and we look forward to an excellent cooperation with you! Our QC team will carry on the agreed standard strictly to inspect products before they deliver to the next step. Our Team Our Purpose We will be honest enough in case any problem occur during production, and communicate with you to figure out the solution together. We are not perfect, but we are learning and improving, we appreciate all the valuable customer to give us a chance to know and see if we are the Mr RIGHT for each other. Alibaba.com offers 1,166 antique mailbox products. About 67% of these are mailboxes. A wide variety of antique mailbox options are available to you, such as apartment, garden, and postal service. You can also choose from metal, aluminum, and stainless steel. As well as from free samples, paid samples. 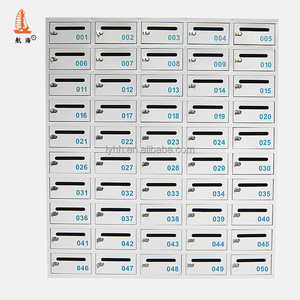 There are 1,081 antique mailbox suppliers, mainly located in Asia. The top supplying countries are China (Mainland), India, and Turkey, which supply 96%, 1%, and 1% of antique mailbox respectively. 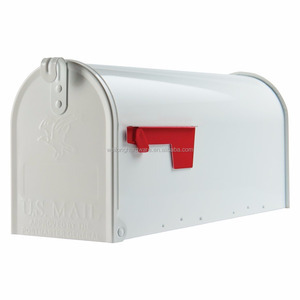 Antique mailbox products are most popular in Western Europe, North America, and Northern Europe. You can ensure product safety by selecting from certified suppliers, including 394 with ISO9001, 106 with Other, and 44 with ISO14001 certification.